Greetings Milwaukee Region members and visitors. In this issue, you can read about upcoming events -- yes, there's still time to enjoy our Porsches on the open road -- as well as results from recent events and news from Porsche. Speaking of Porsche, some new models, including the new GT3RS shown at right, are being unveiled this month. Read the details in this issue of Steinlifters Online. Board meeting -- Sept. 3. Details here. Members always welcome to pull up a chair and join us. 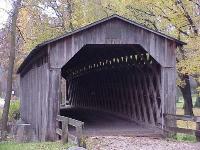 Fall tour -- Sept. 19 -- a half day of driving on Porsche-perfect Wisconsin roads. Event concludes with lunch --optional - at Andrew's in Delafield. Details here. You must RSVP by Sept. 12 if you are joining us for lunch. If only doing the drive, no need to RSVP. Sept. 22 -- Pandls in Bayside is hosting the last Tuesday car club cruise event of the season on Sept. 22 with Porsche night. It's always been fun for Milwaukee Region members to hang out with other Porsche owners here. Prizes; special sandwiches for $4 to $6. 6 p.m. to 8 p.m. 8825 N. Lake Dr., Bayside. Drive to breakfast, Oct. 17. Details here. Don't miss this fall color opportunity. Some tasty pancakes await you at the end of the short drive. of the region's top competitors in autocross. lined up in the standings for the day. Autocross, Aug. 9. results here. Autocross, Aug. 23, results here. Porsche to unveil newest 911 Turbo at Frankfurt Motor Show in September. First sales of the newest 911 Turbo will be in Germany. Get your plane ticket and take your checkbook to Germany. Read about this stunning new vehicle here. 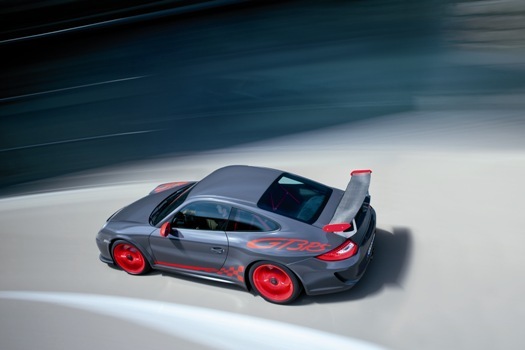 Meet the new 911 GT3 RS. Details here. Cayman S earns title of "Best Driver's Car in 2009." Read about it here. Porsche teams survive race-day crashes at Mosport to maintain lead in American LeMans series championship. Details here. Steinlifters Online welcomes input from members. Tell us about you and your Porsche. How did you acquire your first Porsche -- or perhaps your only Porsche? What are some of your favorite road trips in the Porsche? If you could afford it and find it, what would your dream Porsche be? Send a couple of paragraphs or a few sentences to Steinlifters Online newsletter editor Bev Jurkowski at beverly.jurkowski@sbcglobal.net. An open letter to Milwaukee Region members. Classifieds. Remember, members can use the classifieds for free to advertise an item they wish to sell or want to buy. You can find the most recent ads here. Nominations are open for positions on board of directors. Eager to contribute ideas and lead this region? Every year, a portion of the seats on the board turns over, to bring in new leaders. Members are asked to self nominate themselves, using this downloadable form. Nominees standing for election will be published in the November Steinlifters Online. All nominations must be received by Oct. 23. PCA podcasts -- Check out the PCA Web site for a variety of interesting things to read and listen to. Of interest, since it's September and we know what weather is coming in a few short months, might be the podcast on winterizing by Tom Charlesworth. Check out this and other PCA subject matter expert podcasts at this link. Your car could be featured on the region site. Did you know that when you refresh the home page of this Web site the photo that appears on the upper right corner of the page changes? Hit refresh several times to see different images that rotate randomly. Many of the photos you see are members' Porsches. Send your Porsche to be included in this gallery to the Milwaukee Region Webmaster, beverly.jurkowski@sbcglobal.net. Check out back issues of Steinlifters Online on this page. Scroll to the bottom of that page to find links to previous issues.